Remains believed to be those of Andrew "A.J." Freund are discovered in a shallow Illinois grave and charges are filed against his parents, a police official announces. 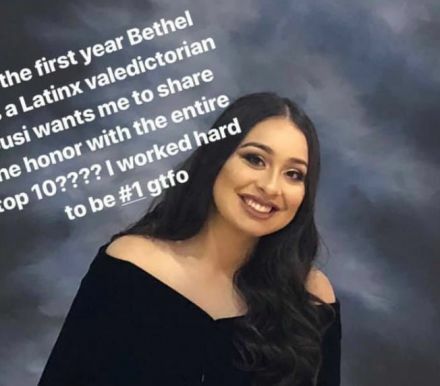 A teenager in California will become her high school’s first Latinx valedictorian after having to fight for the distinction at her graduation. Kim Jong-un killed four firing squad officials from its foreign ministry after his failed summit with Donald Trump failed, a new report has claimed. Some social media posts have caused outrage by joking about gassing inmates. Of all the holidays on the U.S. calendar, Easter is definitely one of the most low-key. Families gather, eat some ham, and maybe the kids hunt for colored eggs or eat a bunch of candy, but it's generally pretty chill. That is, unless you're in Florida, where being in the holiday spirit and donning an Easter Bunny costume doesn't stop anyone from getting into a heated street brawl in Orlando.A video, which was first posted by Instagram user Workfth but subsequently removed due to a perceived "community guidelines" violation, shows a friendly Easter Bunny getting right in the middle of a physical altercation between two men on a busy street. Curses are yelled, punches are thrown, and our furry friend is right there in the thick of it all.Posted again by a different user, the video can be seen below (until Instagram inevitably removes it yet again).https://www.instagram.com/p/BwkQt1SA_jw/It's difficult to parse what exactly is happening here but it's clear that the two men fighting at the beginning of the clip have a very big problem with one another. The bunny arrives late to the brawl but manages to get a few jabs and hooks in anyway, landing repeated blows on one of the men before police arrive and break things up.Once tempers die down a bit the bunny becomes an instant celebrity and proceeds to shadowbox to the amusement of the gathered spectators. Hilariously, despite throwing repeated punches with a police officer standing just feet away, the bunny sidesteps any reprimand while the cop sorts things out between the two original combatants.It's a lovely little video and further proof that Florida is a treasure that should be cherished and appreciated for the entertainment it gives us all. In a resurfaced tweet, Rep. Ilhan Omar claims U.S. forces killed 'thousands' of Somalis during the 1993 mission; reaction from retired Sergeant Major Kyle Lamb, who fought in the Battle of Mogadishu. What should've been sweet memories turned into startling family drama after a woman recently learned the truth about what her niece and nephew go through at the hands of their mom. 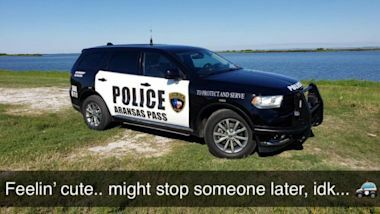 While everyone was together at her parents' house, the anonymous aunt went to pop into the next room and check on the 8-year-old girl and 5-month-old boy. Thanks to her niece's innocent admission, this aunt is furious and doesn't know what to do next.